Improving the silicon layer’s optical absorption is a key research point for crystalline silicon based thin film solar cells. Light trapping is a method widely adopted to achieve this research purpose. 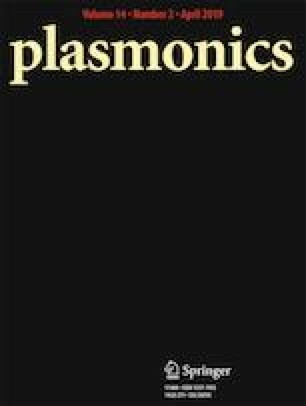 In this paper, we propose low loss interface photonic crystals layer (IPC), which is sandwiched between the crystalline silicon layer and the cover layer. The low loss interface photonic crystals layer could boost the light trapping efficiency significantly. The mechanism is that the smaller refraction index difference between silicon layer and the low loss interface photonic crystals layer could reduce the light’s interface reflection. Taking advantage of the coupling calculation by optical and electrical simulations, solar cell’s absorption efficiency and electrical performance parameters are obtained. Compared with optimized reference group, the maximum output power of the proposed solar cell could be improved by 6.44%. The result indicates that the proposed low loss interface photonic crystals layer is applicable for light’s trapping in crystalline silicon thin film solar cells. The authors acknowledge support by the projects National Natural Science Foundation of China under Grant No. 51435003.